It is time for us to rally the troops! We love bloglovin’ and seeing that they nominated us as a contender for the Blogger Business of the Year is an honor, especially with the great company in which we find ourselves. We would love and appreciate your support, so please take a moment to vote for us. In order to vote, you must nominate a blog of the year and choose someone for every category. Thanks to bloglovin’ for including us and good luck to everyone nominated! Vote for PurseBlog now and remember to vote daily! A daily must-read, New York Magazine, asked us to guest-edit their Shop-A-Matic section with Spring 2011 handbags for men and women that you won’t want to miss. With 125 bags to look at, 25 of them being my favorite picks, you can see a wide array of options for Spring. From the affordable to the exorbitant, we have a wide variety of options that will make your spring accessory shopping much easier. 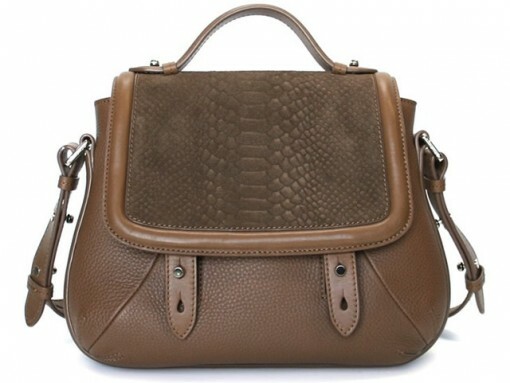 Check out the handbag Shop-A-Matic feature now! Our friends at StyleRepublic have a fun feature they run every Friday that involves people they love to follow on Twitter and last Friday it was my turn! My Twitter friend Brittany who runs the StyleRepublic magazine had the idea to do this fun Q&A. The extra fun part in filling out the form was that I didn’t type it, I hand-wrote. Handwriting is such a lost art these days, so I loved this additional touch. In fact, starting tomorrow we will run a similar new feature that will integrate handwriting as well. The original idea came from Style Republic, so I must give credit where credit is due! Check out my Q&A on Style Republic in which I tell you my favorite accessory, favorite vacation spot, favorite drink, and much more! Read my feature HERE. 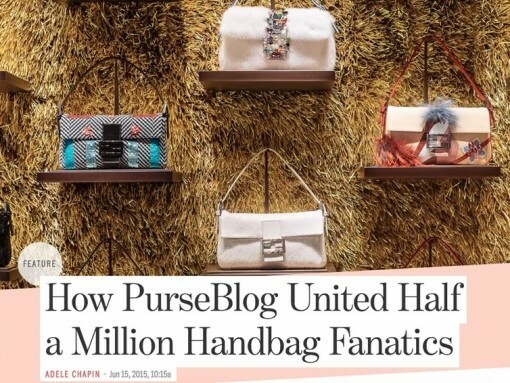 Coach is kicking off their Guest Blogger Series with PurseBlog! In the beginning of September we asked for your opinion on the new Coach Madison collection. I wanted to integrate your votes and thoughts into my guest blogger article since your opinions matter both to us and Coach. With the Coach Sophia Satchel garnering the most votes, it ended up being the bag we are partnering with Coach to give away (make sure to enter our giveaway to win a Coach Sophia Satchel!). 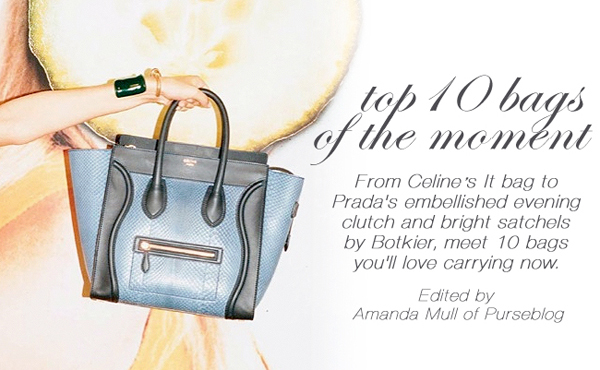 As I shared in my guest blog, this collection has a bag for everyone and every item is completely wearable. From a bright pop of color to the embossed python look to added dimensionality from quilted leather, this Coach collection suits everyone. Thank you to Coach for choosing me to be the first blogger for their new series! Click here to read our Guest Blog post on Coach.com! Last week I not only had a fun interview at Starbucks about PurseBlog and Spring Trends, but also the interview happened to be with a high school friend. No need for nerves, it was so nice to sit down and chat with an old friend I haven’t seen since AP Literature (6th period senior year). Even with all of our catching up, Sara was able to sneak in her interview questions. We talked about Spring Trends, which in handbags are still tie-dye, perforated leather, and denim. Thanks Sara and Examiner.com! Read the full article HERE on Examiner.com. A couple of weeks ago I had the pleasure of speaking with Phillip Picardi from Teen Vogue. 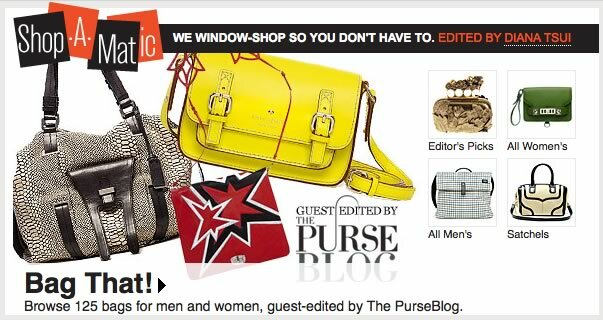 Teen Vogue has named PurseBlog their Blogger of the Moment, and we could not be more honored or thrilled! 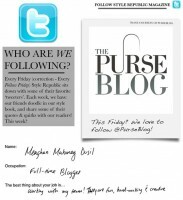 The interview will give you a look into why we started PurseBlog, how we started PurseBlog, and what our site is about. Teen Vogue has been a favorite magazine and website of mine for years, so being featured on their site has been nothing short of amazing. I also shared some of my favorite Savvy picks with Teen Vogue, including a good everyday bag, spring floral trend, bright color, and studded infusion. Thank you to Teen Vogue for featuring us on your website and the interview! We will always be loyal fans. Make sure to read the article and comment on their post with your thoughts. Full article is found at TeenVogue.com here!